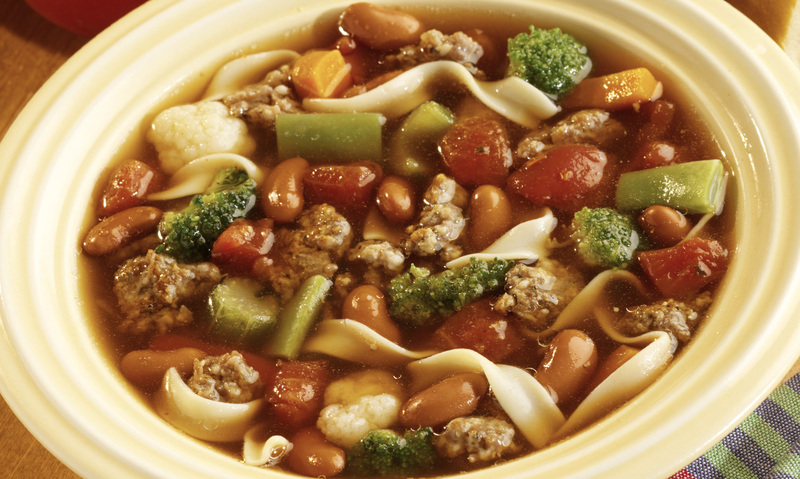 Italian sausage is simmered with kidney beans and vegetables for a satisfying but quick stew. In a large sauceopan, over medium heat, crumble and cook sausage until browned. Add tomatoes, broth, kidney beans, frozen vegetables and noodles. Bring to boiling. Stir and reduce heat to low. Cook 7 to 10 minutes or until vegetables and noodles are tender, stirring occasionally. Serving Suggestions: Sprinkle with shredded Parmesan cheese * Can also be made with Bob Evans 1-lb. original recipe roll sausage. 1 In a large sauceopan, over medium heat, crumble and cook sausage until browned. 2 Add tomatoes, broth, kidney beans, frozen vegetables and noodles. Bring to boiling. 3 Stir and reduce heat to low. Cook 7 to 10 minutes or until vegetables and noodles are tender, stirring occasionally. 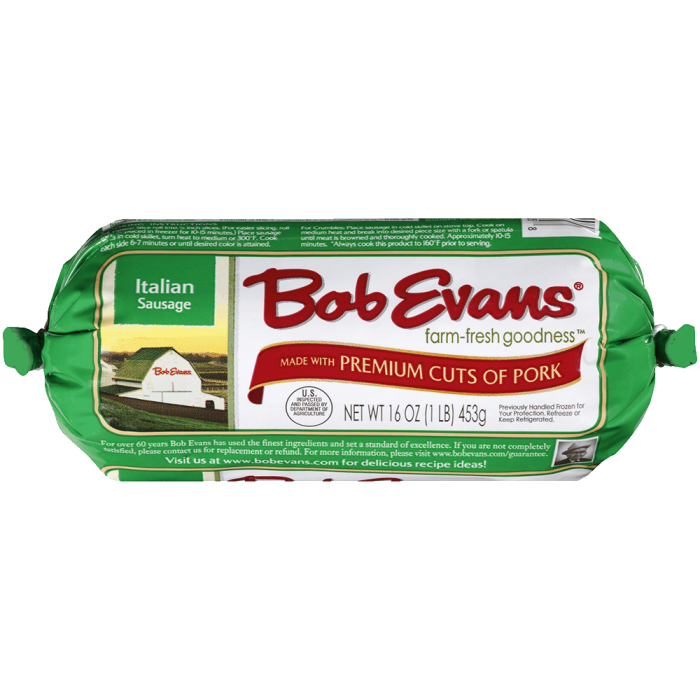 4 Serving Suggestions: Sprinkle with shredded Parmesan cheese * Can also be made with Bob Evans 1-lb. original recipe roll sausage.